There’s one thing we hear from over half the people we meet…“I’m not photogenic” or “I don’t take good pictures”. Well, guess what…you are our favorite kind of client! Whether you may be concerned about weight (number one reason people don’t like to be photographed) or facial lines and looking old (time keeps ticking away no matter what! ), we have the skills and knowledge to help you plan for portrait success. We love to show you just how amazing you can look in an image that you can be proud to show off to everyone you know. Just imagine knowing that you’ll end up with the most fabulous portraits you’ve ever had created of yourself or your family and not have to stress about any of the details that go into creating an amazing image. Wouldn’t that take a huge pressure off and maybe even make it so you could look forward to the portrait appointment? Kaela and Jonathan Braswell of Strauss Peyton do just that for you. Highly skilled in the use of light and posing (say goodbye to the extra weight you don’t like) as well as assistance with selecting the right kind of clothing and location for the best results means you don’t have to guess at anything. You don’t even have to worry about doing your own hair and makeup! Are you the type to enjoy being pampered and taken care of? A Legacy Collection portrait session might be just what you are looking for. It starts with a hair and makeup artist to give you that added boost of confidence and polish right before your portrait session. Go here to look at some Before & Afters! Has it been more than 3 years since your last Family portrait? Do you have extra family members now that aren’t represented in the latest portrait? Go here to take a look at our Family Portrait Guide. It’s time for an update! Has it been more than 2 years since your last business portrait? Do people take more than one look at you and then back at your last business image to make sure it’s really you? Take a look at some Business Portraits and Personal Branding Images. You’ll probably recognize a few people you know. 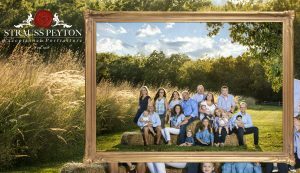 Have you seen the new portraits that Strauss Peyton created for the Board of Directors on the Leawood Chamber of Commerce website? Don’t forget to check out the wonderful staff of the Leawood Chamber and also the fine people on the Committees for the Chamber. 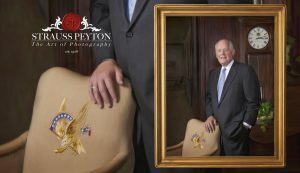 Established in 1908, Strauss Peyton is the oldest portrait studio still operating in the United States. 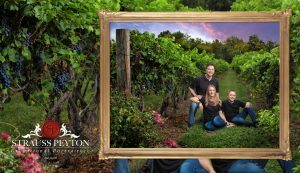 We understand portrait legacy and why creating a family portrait history is so important, especially when most people don’t have a beautifully finished portrait of themselves for their children to have some day. Remember that you don’t do this for yourself…you have portraits made for your children and grandchildren to have.